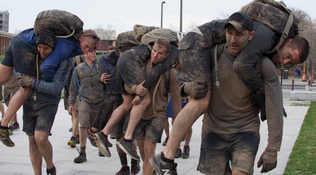 Inspired by the most elite training offered to special forces soldiers and led by Green Berets, the GORUCK Challenge is a team event and never a race. You won't know the route, but it showcases the best of every city. Welcome to our version of Good Livin'. For more information and registration visit the Goruck Challenge Website & Good Luck.